It’s a great time to be a Spider-Man fan! 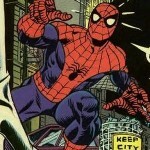 In this edition of the Indispensable Spider-Man, we look at issues roughly between 1982 and 1985, which contains some of Spider-Man’s best stories. Nothing Stops the Juggernaut. The Kid Who Collected Spider-Man. The Owl vs. The Octopus. Secret Wars. The First Hobgoblin Saga. All these stories rank consistently and high in many person’s list, and make this one of the best Spider-Man chronology periods. The introduction of the Hobgoblin and the arrival of the black symbiote suit definitely make the cut, along with Roger Stern classics such “Nothing Stops the Juggernaut” and “The Boy Who Collected Spider-Man!”. And that’s just in Amazing Spider-Man. 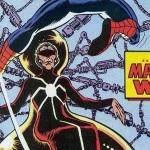 In Spectacular Spider-Man, we see the introduction of Cloak and Dagger as well as the unravelling of Peter’s relationship with Deb Whitman. Roger Stern is the major addition to this era, as puts forth such high ranking classics in a comparably short run. He is flanked by Romita Jr on art in Amazing, while in Spectacular, Bill Mantlo and Al Milgrom pen most of those issues. Secret Wars ends this run of Spider-Man Chronology, which is brought to you be Jim Shooter and Mike Zeck. 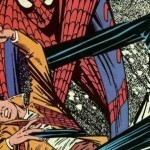 Amazing Spider-Man and the Spectacular Spider-Man remain the core of the Spider-Man chronology. Marvel Team-Up begins its end run. Cloak and Dagger make their first appearance, and while they never take an indispensable role in Spider-Man’s stories, they appear every so often enough to make this important. 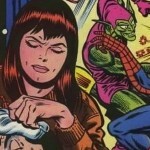 Deb Whitman and Peter break up after she suspects he’s Spider-Man. 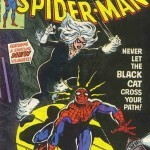 Spider-Man then begins a relationship with the Black Cat, and reveals his identity to her after her recovery from the beating she received while battling Doctor Octopus. 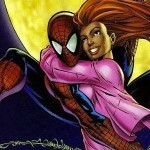 To add to the love triangle that defines this Spider-Man chronology, Mary Jane Watson returns to New York and Peter’s life.